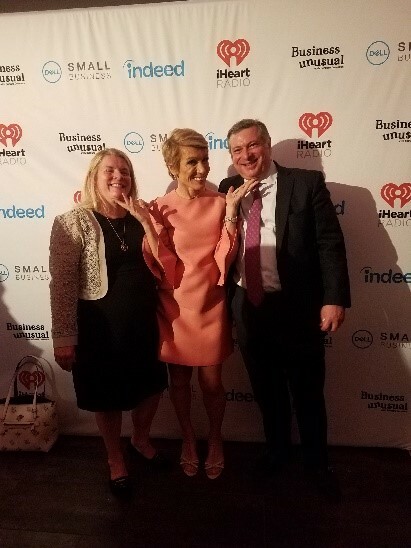 June 14th, 2018New podcasts and shows on iHeart – tune in to hear Barbara Corcoran and maybe even YOU! 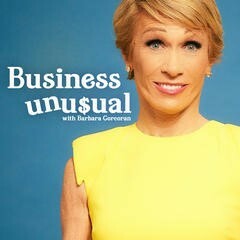 “Class Act” – that’s what we think of Barbara Corcoran. We met her at the launch party for her new podcast on iHeart Radio, Business Unu$ual. The podcast started last month and her 7 minute segments are packed with powerful information for anyone in business. Barbara gave a short interview and then circulated among the crowd (and it was crowded!). I think she talked to every person there, listening to their stories and offering sound, personalized advice. What impressed us was the warmth and kindness she showed to everyone in the room. She even took a photo with us! And speaking of podcasts… iHeart also approached Richard Gearhart to not only have his own podcast, but also a show for entrepreneurs. The weekly show, titled “Passage to Profit” premiers on Sunday July 29th at 8pm on WOR 710 – “The Voice of New York”.